I recall vividly driving down Kenaston Boulevard and seeing yellow ribbons tied around the trees welcoming our troops home from over seas. I remember thinking at the time that it was a great gesture to demonstrate support for Canadian foreign policy and a way to thank our soldiers who were the ‘tip of the spear’ of that foreign policy. Now we find ourselves in a situation where we have another wave of ‘soldiers’ returning home to Canada. There is a big difference though. These soldiers are ISIS foreign fighters, terrorists. These returnees are for the most part Canadian citizens who not only reject our Canadian values but took it several steps further and went overseas and joined the other side, actively fighting against the West in support of ISIS. Now that the battle is turning these Canadian ISIS fighters are returning to their safe haven in Canada. And what is the response by the Federal government in Canada? While other countries like the United States, Britain and France are making concerted efforts to ensure that citizens from their countries that left and went to Syria to join ISIS do not return, Canada is essentially rolling out the welcome mat. Ralph Goodale, speaking with his holier-than-thou attitude, tells us that Canada does not engage in “death squads” implying that Canada is in some way morally superior to other countries. The concern of course is that these ISIS foreign fighters, having been indoctrinated and trained by ISIS in Syria, and having ‘tasted blood’ so to speak will return to their countries of origin and continue to wage their war. Not to worry, says our defense minister. The foreign fighters returning to Canada will be monitored for any terrorist activities. Our Liberal Government seems to think that Canada can reintegrate jihadists. Our track record of rehabilitation and reintegration of ordinary criminals is dubious at best, and now we are going to apply that same philosophy to individuals who believe in a higher cause, who live by Sharia Law which in their minds supersedes Canadian Law. Good luck with that. Where does that leave Canada? The Canadian government claims that our vetting measures are adequate to root out potential immigrants and refugees with terrorist leanings. The fact that so many Canadian citizens became ISIS fighter effectively shoots down that myth. However, now that we have fighters returning from Syria who are self-declared terrorists who may have committed unthinkable atrocities we are simply going to allow them to return to Canada to live among us like nothing happened. Well, no, they are going to be carefully monitored by the RCMP and CSIS. That should giver us comfort right? Wrong, for the most part Islamic terrorists who committed attacks in Canada were known to police and CSIS prior to the attack but they had neither the resources or the inclination to deal with them effectively. We keep hearing that under Canadian law it was not possible to arrest and charge them. What does that tell us about Canadian law? If the law does not allow those charged to protect Canadian citizens to protect us the law needs to be changed. In a long-term sense what needs to happen is a change in government. The Liberals sunny ways are not helpful in dealing with the cloudy days we are experiencing. The election is still a long way off but there are things that Canadian citizens can do in the interim. 1 Make yourself familiar with the Terrorism and Violent Extremism Awareness Guide. 2 If you see anything that you feel may be terrorism-related contact the RCMP National Security Information Line or CSIS by phone at 613-993-9620 or by email. 3 Contact your MP directly. Depending on the nature of your contact you might wish to copy the Minister in charge of the portfolio your issue relates to and or the Prime Minister. The following links provide you with the mailing address, phone number and email address for all MP’s. phone and address email. 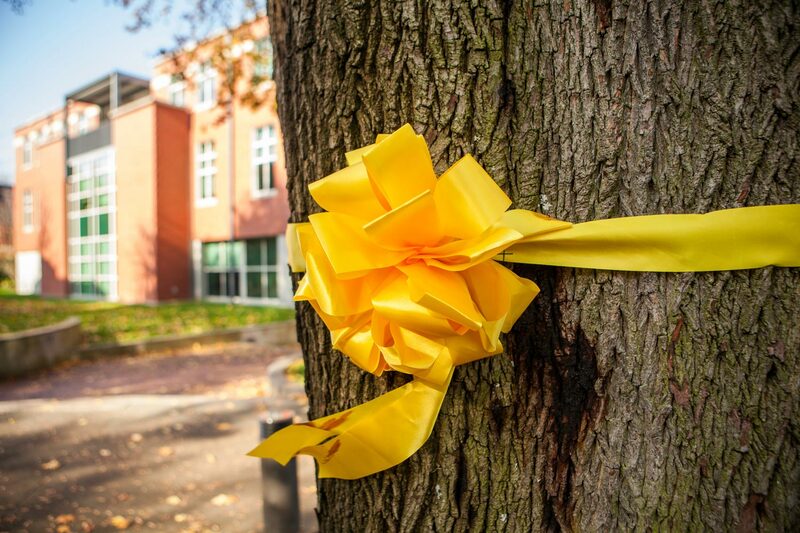 On the bright side (not), remember that as ISIS fighters are streaming back into Canada you do not need to go out and tie any yellow ribbons to trees to welcome them back, the Canadian government is doing that on your behalf.